This article is about the action. For the mechanics, see Summoning mechanics. For the condition, see Summoning condition. A Summon (召（しょう）喚（かん） Shōkan) is an action which places a monster onto a Monster Zone. It can be performed either manually or with a card effect. Monsters are always Summoned face-up, unless Special Summoning with an effect like "Morphing Jar 2" which states that the monster is Special Summoned face-down. If a player conduct a Summon, due to any method, the player conducting that Summon will be the one who choose which appropriate Monster Zone the Monster would be placed on (unless specified otherwise). There are a number of different types of Summons. Tribute Summons are a kind of Normal Summon. Fusion, Ritual, Synchro, Xyz, Pendulum, and Link Summons are all kinds of Special Summon. There are also other terms referring to ways of Summoning monsters, but these are not official names in the TCG/OCG, and as such are never mentioned in functional card text. These names come from anime, manga, video games, Normal Monster card text, and vernacular used by players. Gemini Summon: Normal Summoning a Gemini monster that is currently face-up on the field in order to have it gain its effect. Contact Fusion: Special Summoning a Fusion Monster using its Fusion Materials, but without using a Fusion Summoning effect like "Polymerization" since it is not a Fusion Summon. Double Tuning: Synchro Summoning using 2 Tuner monsters. Xyz Evolution: Special Summoning an Xyz Monster by using an Xyz Monster on the field as the only Xyz Material, transferring its Xyz Materials to the Summoned monster. Some Summoning methods only exist in the anime, manga, or video games. Transformation Summon: Special Summoning a Fusion Monster using its specific card, and without using any Fusion Materials (only exists in the manga). Accel Synchro Summon: Synchro Summoning an Accel Synchro Monster using a Tuner Synchro Monster and non-Tuner Synchro Monster while in a state of Clear Mind (only exists in the anime). Delta Accel Synchro Summon: Synchro Summoning a Delta Accel Synchro Monster using a Tuner Synchro Monster and 2 non-Tuner Synchro Monsters while in a state of Top Clear Mind (only exists in the anime). Limit Over Accel Synchro Summon: Synchro Summoning a Limit Over Accel Synchro Monster using a Tuner Synchro Monster and 2 or more non-Tuner Synchro Monsters while in a state of Over Top Clear Mind (only exists in the anime). 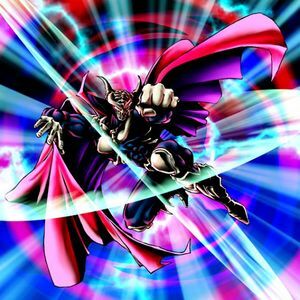 Dark Synchro Summon: Synchro Summoning a Dark Synchro Monster by subtracting the Level of a Dark Tuner monster from the Level of 1 non-Tuner monster (only exists in the anime, manga, and Yu-Gi-Oh! Tag Force video games). Each player can only perform 1 Normal Summon/Set and 1 Pendulum Summon per turn (even if that Summon is negated), excluding card effects. There are no restrictions on the number of Flip Summons or Special Summons a player can perform per turn (except Pendulum Summons). This page was last edited on 19 December 2017, at 13:49.